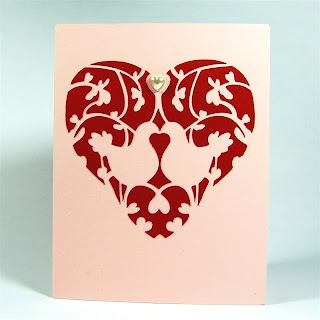 Capadia Designs: Fancy Cards can be Simple too! Welcome to Fancy Card Friday. 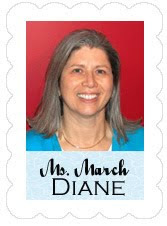 This is Diane and it is my last day as Guest Designer here on Everyday Cricut. The week has been jam packed with creating, experimenting, testing, photographing and writing about all of the projects I shared. I want to thank Joy and Melanie again for inviting me to join you this week. 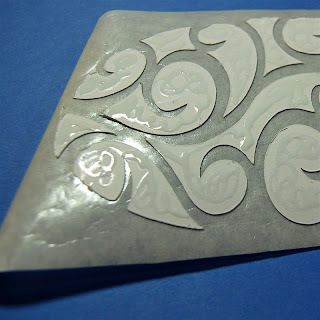 I know that some of you were already familiar with my work, but some of you are new to me and I hope that you will continue to visit my personal blog, Capadia Designs, for inspiration and help as you create with your Cricut. I just want to answer a question that comes up frequently - "Who/what is Capadia and how do you pronounce it?" When I first got my Cricut, I went to the Cricut..com site to look for the educational videos about how the machine works. I discovered the Cricut Message Board and "lurked" for a few weeks and then got brave enough to sign up so I could post messages. I didn't want to use my full name and all of the clever "crafty" names I could think of seemed to be taken. So I took pieces of my name and combined them to come up with a message board name - CAmpbell PAyne DIAne = CAPADIA. That's really all there is to it! I pronounce it Kuh-PAY-dee-uh (as you may have heard on one of my videos). One other question that has come up several times is "Why don't you use your Gypsy more?" I have worked with the Gypsy and I enjoy it, however, I find that there are features in Design Studio that are not available to me on the Gypsy and I prefer to use the Design Studio. According to Provo Craft, the goal is to make the two programs have true "design parity" but there is a lot of work to be done to get there - I am hoping that they are getting closer! 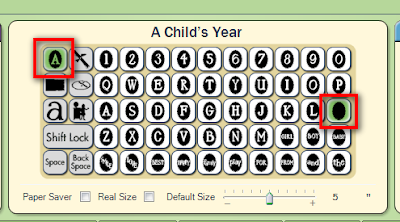 For this card, I started with the A Child's Year cartridge again - it truly is one of my favorites for it's incredible variety, the font and the realistic images. There are also great tags and a full set of interesting cards all packed into this one cartridge! 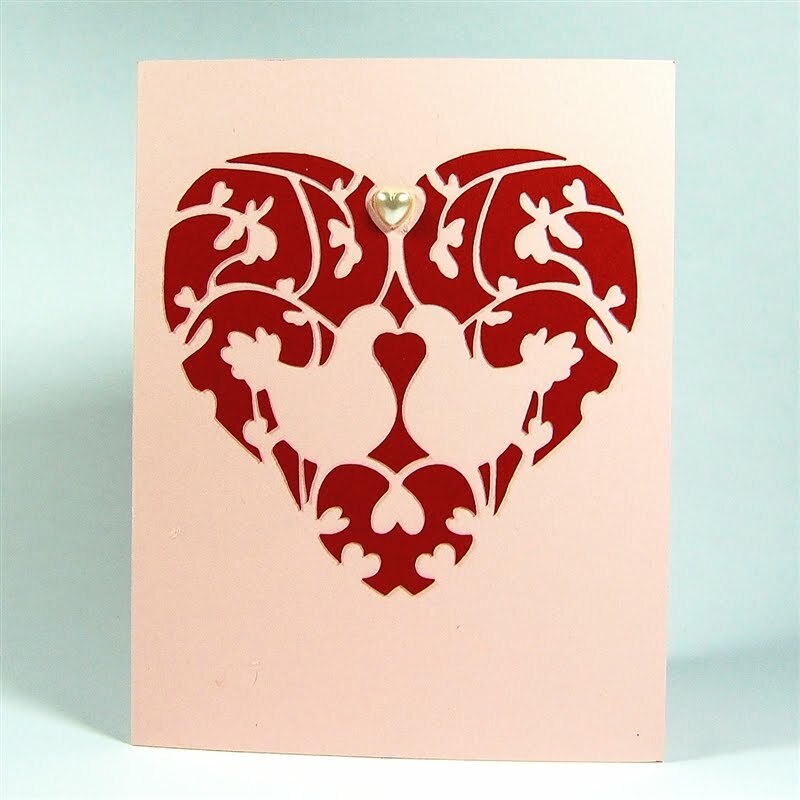 I started with this fancy shaped card and used it as my base for an A2 card. Here is a screen preview of the card - it took just a little Design Studio magic to get there! 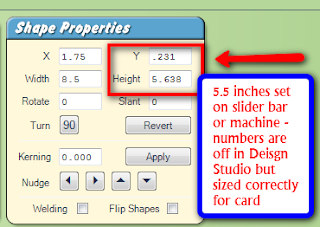 To cut the base card, you could just set the size on the machine to 5.5 inches and cut. 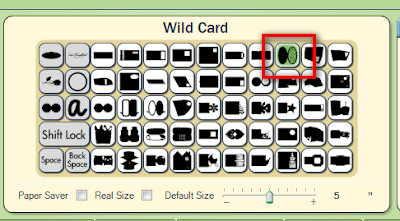 I have a "pet peeve" that means that I usually cut my card bases using Design Studio so I can hide the little "tick marks" that are included to show you where to score the card. It is pretty obvious how to fold the card in half and the cuts from those guides marks can be unsightly and look a bit sloppy. 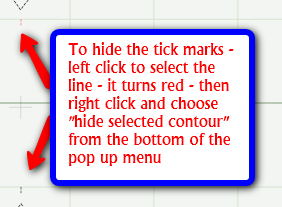 Someone asked about how to use "hide selected contour" - I have a video on my blog at this LINK that goes into some detail but the quick explanation is that you left click on a line to select it - it will turn a pinky red color. Then, right click on the mat and choose "hide selected contour" at the bottom of the drop down menu. The line will turn a very pale blue and will not cut. (It turns blue so you can find it if you want to "show selected contour" by using the same procedure). You can not hide a contour on an image that has been copied and pasted. 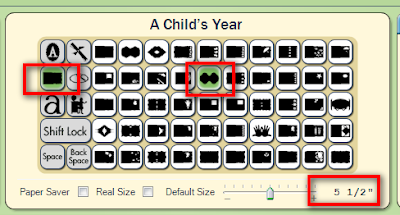 You will have to save and reopen the file (just the file not the whole program) to make the feature active on a copied image. If you hide lines on an image and then copy and paste it, the lines will come back and you will have to reopen the file and hide the lines on the second image. If you hide only one line on an image, it will not stay hidden when the file is closed and you will have to "rehide" it every time you use the file. I have a workaround for this if the image you are using has at least three lines - here is a LINK to the post on my blog. 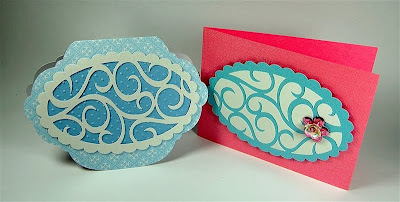 For this card, I also needed to have the card in my Design Studio file so I could adapt the size of my top layers to fit the shape of the card. If you watched my video about making the Easter Egg card on Monday you know about the "guideline rectangles" I use to help plan my cards. I just want to point something out. 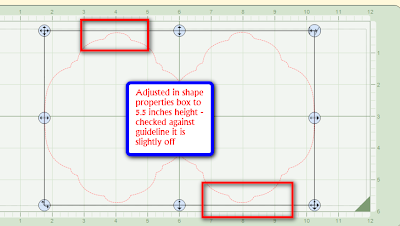 If you use the Shape Properties Box to set the size on some objects there may be a difference between the size you set and the actual size. This is due to the bounding box not being exactly on the lines of the image. 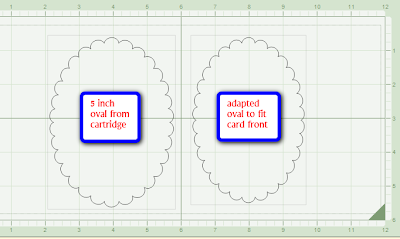 In this case, a 5 1/2 inch card base will have these values in the Shape Properties Box. I just wanted to mention this to help you avoid a problem with sizing. 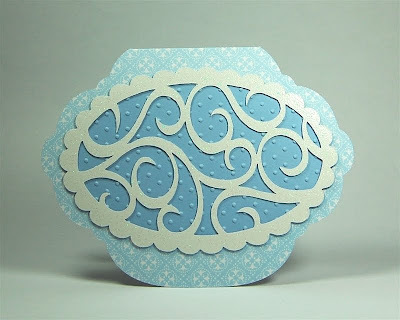 I wanted a scalloped oval for the card topper and there is a very handy one right here on the A Child's Year cartridge. I needed to adjust the oval slightly to make it fit on the card base. I kept the preview of the card on one mat on while I adjusted the sizing with the handles until it fit nicely. OK - now for the "fancy" part! I went to the "Wild Card" cartridge and chose this card - but I am not going to use it as a card. 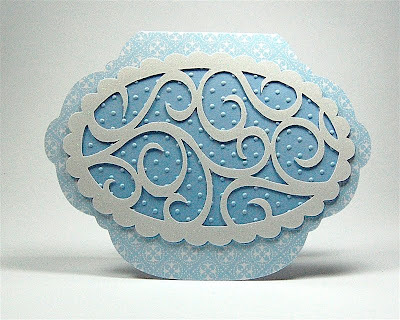 I wanted the lovely filigree to be cut inside my scalloped oval layer. 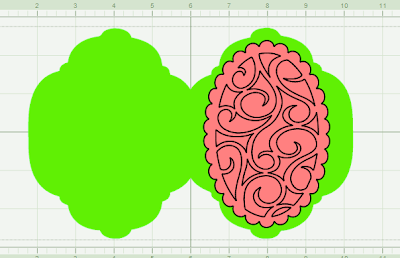 To do this, I simply used the handles to shape the filigree area to fit the scalloped oval with a nice even border. Then, I hid the outer cutting line of the card and the two "tick marks" for the scoring. Since I hid two or more lines, they will stay hidden when the file is closed and reopened. That's all there is to it - takes much longer to explain than to do it! 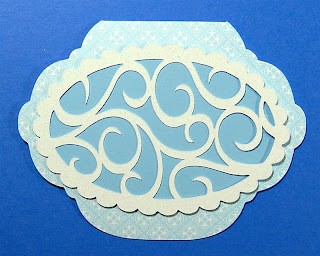 I cut a plain scalloped oval, the fancy filigree center scalloped oval (in white glitter cardstock) and the card base and I was ready to assemble my card. 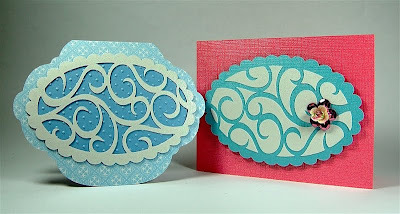 I tried the plain oval in the gemstone cardstock (above) and also in some matte finish blue cardstock (below). 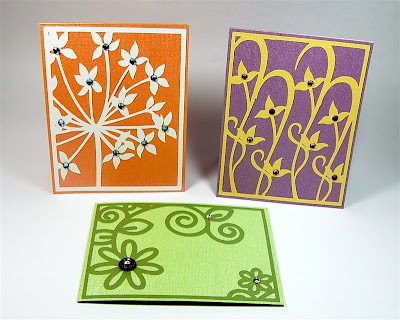 I liked the color of the plain cardstock better but it was too plain - so I embossed it using the Swiss Dots embossing folder. So, what about the "leftovers"? 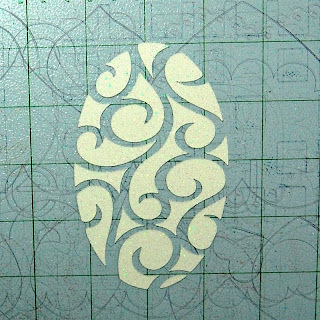 When the scalloped oval filigree was removed from the mat these pieces remained. I decided to try the same "trick" I used on another card from the Love Struck cartridge and lift these pieces with transfer tape to place them on a second card. 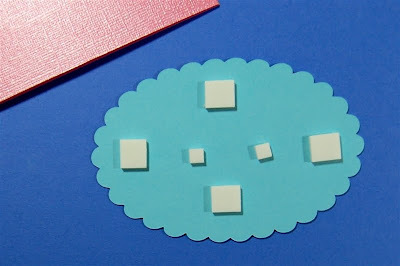 This is the card I made earlier this year using this method (here is a LINK to that post and the file). I placed some vinyl transfer tape over the pieces on the mat and burnished it down as well as I could. It was much more difficult to lift the glitter pieces than it was to lift the paper pieces on the valentine. The glitter surface did not cling as easily to the tape so I had to be very careful to peel it up evenly. 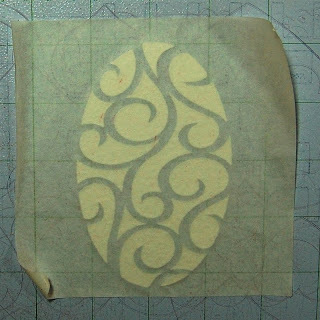 Once I had lifted all of the pieces on the tape, I applied adhesive. Then I centered the filigree on the blue gemstone oval I had "rejected" and adhered the glitter pieces to the scalloped oval - it looked very pretty in the end! 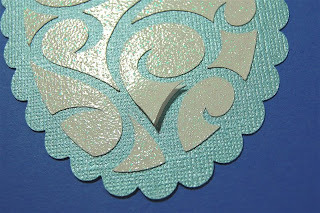 Glitter cardstock tends to separate and there was one spot where this happened very noticeably. I used a liquid adhesive to try to hold the glitter layer down - unfortunately it showed through after drying. Remember,""there are no mistakes"- they are simply "creative opportunities!" 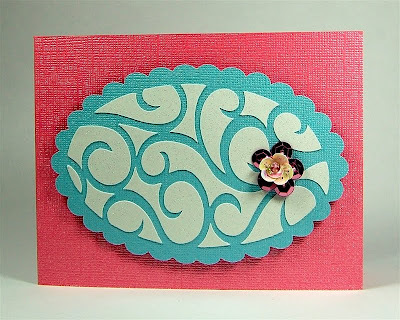 I decided that what my card needed was this lovely sequin flower from Creative Charms. 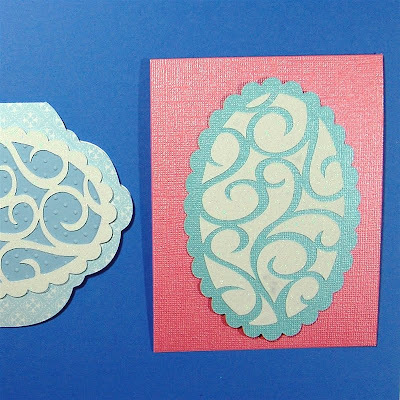 The gemstone oval is raised up with foam squares and the card base is the large piece left from the pink sheet of cardstock I used for the Easter Egg cards. The file for this card is available on my blog in today's "sister" post - here is a LINK. 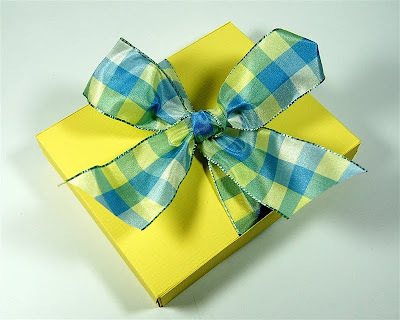 Can you guess what is inside this pretty box? Eight of the cards that I made using the "leftovers" from the projects for this week. I designed the note card folder over a year ago when I made some cards for a gift and needed a way to present them. The folder is made with a single sheet of 12 x 12 cardstock and the only "leftovers" are the two strips you can see in front of the box. I used the Scor-Pal to make the box and the owner of the company was planning to include it in an Ezine last Spring, but the issue never came out. 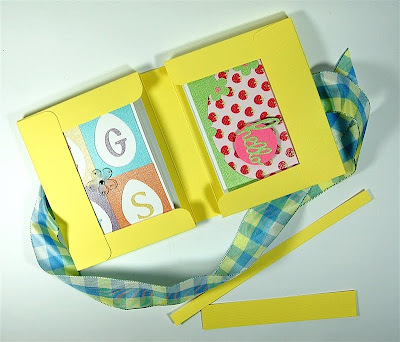 The complete directions to make the folder are on my blog - here is a LINK. I did promise a truly simple but still elegant and "fancy" card or two with no Design Studio involved for today didn't I? Well here they are - all lovely and easy . 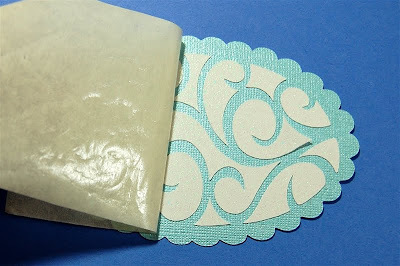 With beautiful cardstock and the Lyrical Letters cartridge you can make these in no time at all. Since I have run very long in this post today, I will send you to the sister post on my blog to get all of the details. 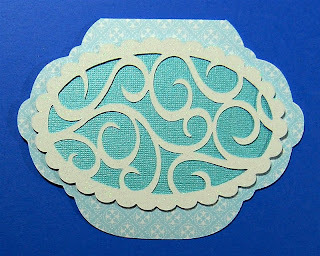 Lyrical Letters is a fantastic cartridge with seven fonts and all sorts of surprises - like these perfect card toppers. I hope I have inspired you to get busy creating. I encourage you to experiment with the vinyl and eggs, download the trial of Design Studio and use your leftovers!